Beautiful hardback editions of the classic series with covers designed by award winning illustrator David Wiesner. Digory let out a scream. "What's happened to Polly?" "Congratulate me, my dear boy," said Uncle Andrew, rubbing his hands. "My experiment has succeeded. The little girl's gone -- vanished -- right out of this world." When Digory and Polly discover Uncle Andrew's secret workshop, they are tricked into touching some magic rings that take them right out of this world. But even Uncle Andrew doesn't realise the wonders that lie ahead as they discover the gateway to the magical land of Narnia, where many thrilling adventures await them. 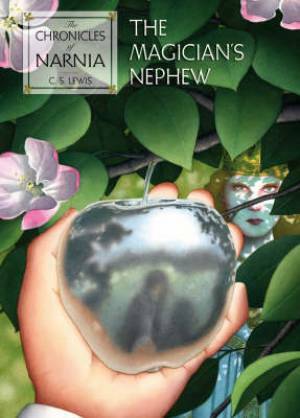 Magicians Nephew by C. S. Lewis was published by HarperCollins in September 2007 and is our 61903rd best seller. The ISBN for Magicians Nephew is 9780007252961. Be the first to review Magicians Nephew! Got a question? No problem! Just click here to ask us about Magicians Nephew.